Counter Cloths and Box Set - While Supplies Last! P R O B L E M : Sure, paper towels are handy, but at what cost? Most are made from virgin tree fiber and used only once—definitely not a sustainable solution. Plus, one is often not enough for many jobs, and some brands are even bleached with harmful chlorinated compounds—not good for your family or the environment. S O L U T I O N : Our super-absorbent Norwex Microfiber Counter Cloths quickly tackle spills and messes much more sustainably. 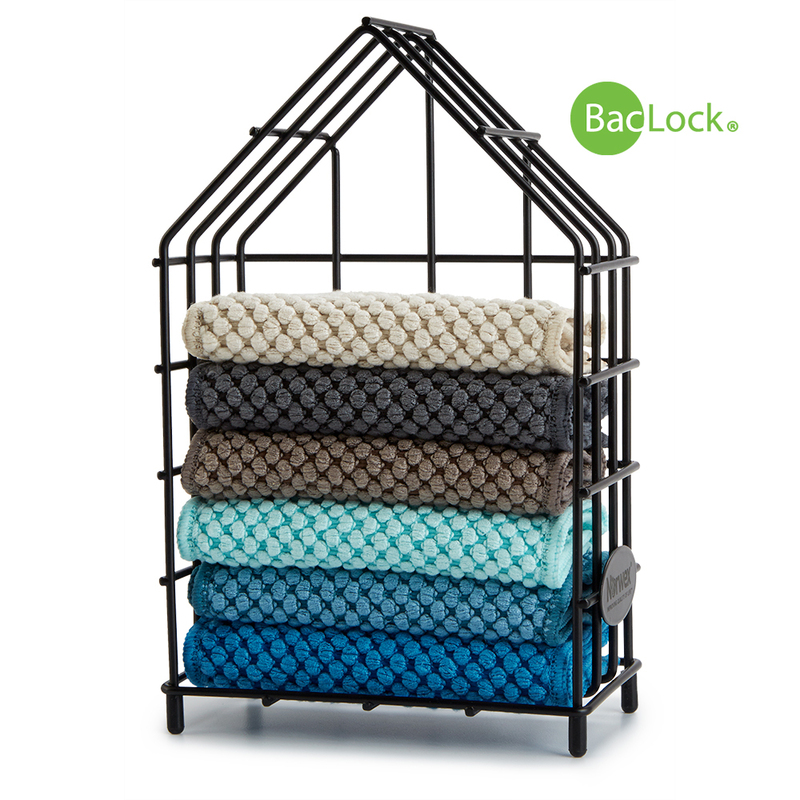 Made from 50% recycled materials, they dry fast and you can use them multiple times before laundering. Best of all, they look great in their stylish Counter Cloth Box, where they’re always ready when you need one. 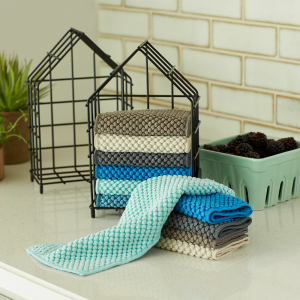 These ultra-absorbent, reusable cloths feature a unique new weave to quickly pick up spills and messes in the kitchen, bathroom—really anywhere! 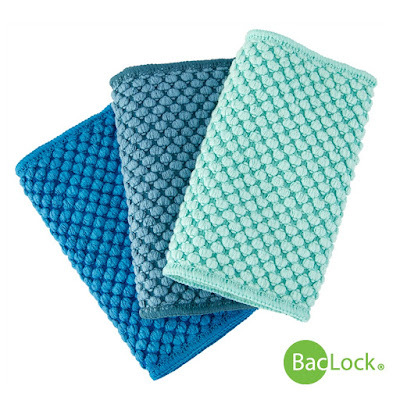 Constructed from Norwex Microfiber made from 50% recycled materials in the same size as a half-sheet of paper towel, each set contains almost a whole recycled plastic bottle (500 ml), so you’re helping to clean up the world every time you quickly clean up! Every cloth needs a home—like our exclusive, Norwex-branded Counter Cloth Box, shaped like a cozy house! 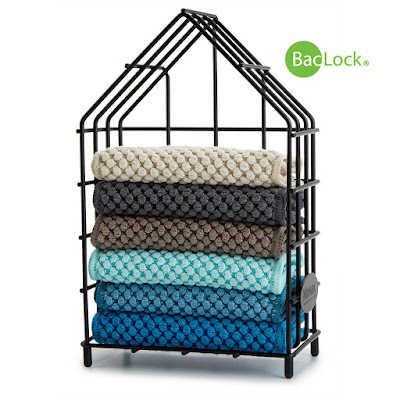 Set contains all six colors of Counter Cloths and keeps them within easy reach on kitchen and bathroom countertops for a quick, grab-and-go clean! While supplies last! 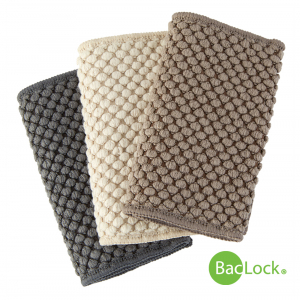 • The BacLock* in the cloth—our micro silver antibacterial agent—goes to work to self-purify and inhibit odors from bacteria, mold and mildew growth within the cloth within 24 hours so that it is ready to use again. • Paper accounts for up to a third of all municipal land fill waste. • The average family of four uses about 26 rolls of paper towels a year. That’s an annual expense of approximately $91 for a single-use, throwaway item that is clogging our land fills!